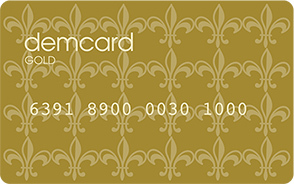 The DEMCARD Special Customer Program is opening a world full of privileges to Demsa Group customers. At the stores of global giants acting in Turkey through Demsa Group including Harvey Nichols, Brandroom,Galeries Lafayette, Gucci, Salvatore Ferragamo, Alexander McQueen, Roberto Cavalli, DKNY, Michael Kors, Longchamp, Elie Tahari, Adidas Originals, BCBG Max Azria, Ted Baker, Agent Provocateur, Kate Spade New York, Juicy Couture, Sandro, Maje, Karen Millen, Superdry, Guess, Mothercare, shopping habits, brand preferences and personal likes of customers are considered through the Demcard Special Customer Program to offer advantageous shopping opportunities, special campaigns and discounts. 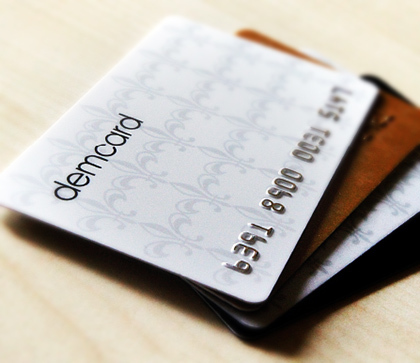 A particular portion of the spendings made through Demcard VIP, Demcard GOLD, Demcard SILVER or Demcard are loaded on the card and made available for subsequent shoppings. Furthermore, total sum of shoppings during the year entitles the user to a higher Demcard that offers more advantages. %20 of the shopping sum is loaded on your card. In case of installment shopping, %10 of the sum of your shopping is loaded on your card, and you keep earning. You have the privilege of shopping in your special discount days. Your special bulletin including fashion trends, new products and refined advantages and privileges are e-mailed to you. %15 of the shopping sum is loaded on your card. In case of installment shopping, %7.5 of the sum of your shopping is loaded on your card, and you keep earning. %10 of the shopping sum is loaded on your card. 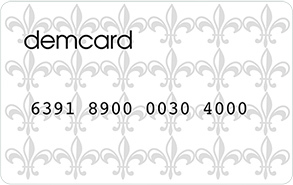 In case of installment shopping, %5 of the sum of your shopping is loaded on your card, and you keep earning. %5 of the shopping sum is loaded on your card. 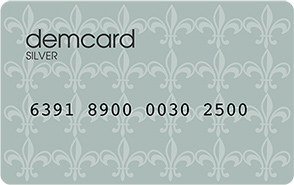 In case of installment shopping, %2.5 of the sum of your shopping is loaded on your card, and you keep earning.